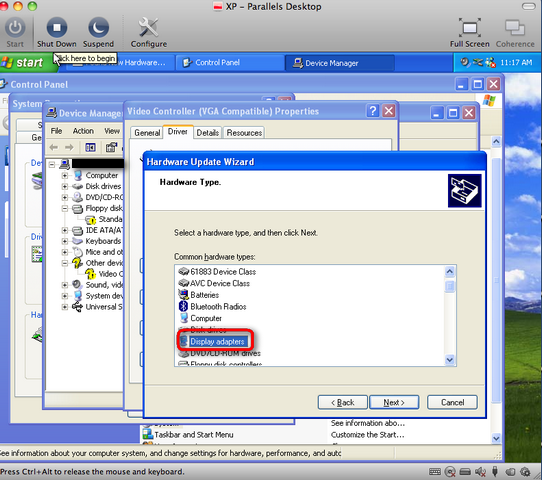 Mouse synchronization does not work and you need to press Ctrl+Alt to release the mouse or dynamic screen resolution does not work when the size of Virtual Machine window is changed. In device manager you can see Intel(R) 82815 Processor to AGP controller-1131 within System devices with exclamation mark, Display Adapter is missing among devices. 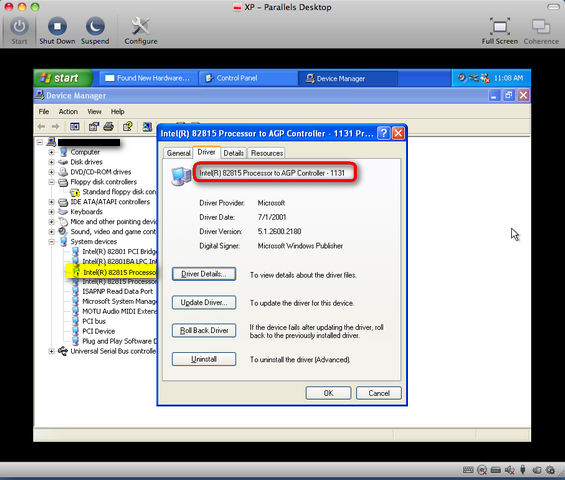 Emulated video adapter was recognized as device with AGP interface instead of PCI interface. 1. 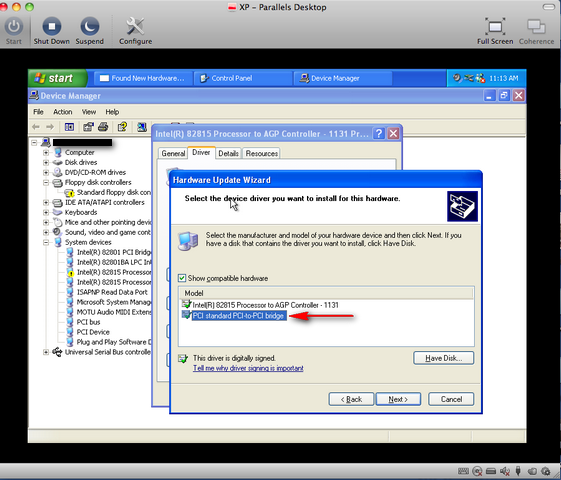 Right-click on Intel(R) 82815 Processor to AGP controller-1131, in the drop down menu choose Update driver. 3.Click Next. Accept the prompt to reboot the windows. 4. 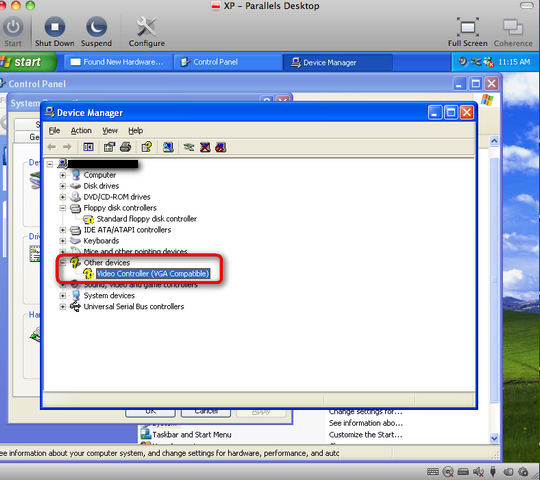 After reboot Video Controller (VGA compatible) with exclamation mark should appear in device manager. 6. 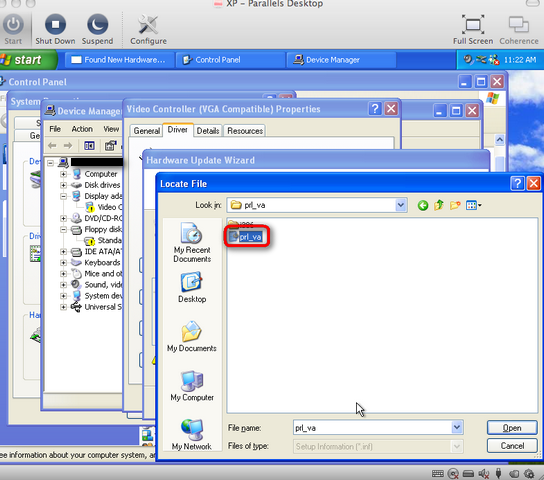 In the next Hardware Update Wizard window click "Have Disk" button --> browse and locate "C:\Program Files\Parallels\Parallels Tools\Drivers\prl_va\prl_va.inf"
7. Click Open --> Next. Follow the prompt to reboot the windows. Note: After Windows is rebooted all features like dynamic screen resolution, automatic mouse capture and Coherence will work in your virtual machine.